Spring & Summer are around the corner. Yah! My favourite season. Have had enough of the dry cold winter. And nothing is better than a great ice-cream (aka gelato) or sorbet. And my absolute indulgence and favourite besides vanilla, is pistachio. And it’s fairly easy to make….as long as you have patience and give yourself time, for the mixture to infuse. And best of all, you can make this either LCHF or not…the choice is yours, dependent on your eating lifestyle. Then blitz them together with the sugar in a food processor, until the mixture takes on a fine sand consistency. Pour this sandy mixture into a saucepan, containing the cream, milk and salt. Heat it up, until it reaches a boil. Whisk the egg yolks, just to break them up. Reheat the cream nut mixture, and pour 1 cup of the mixture into the eggs, whisking the eggs constantly. Add another cup, and whisk. Then pour the mixture back into the saucepan, constantly stirring, until the mixture thickens. Pour through a fine-mesh strainer, into another container. Place this container into a bigger bowl that contains ice, this will help lower the temperature & halt the cooking process. Thereafter, let it cool for a minimum of 2 hours in the fridge. Now place in the gelato machine to make ice-cream. Mine takes usually 15 minutes to churn before becoming yummy nom nom gelato. Alternatively, if you don’t have a machine, place in the freezer and ever hour take out, and mix, until it’s close to frozen. And voila, there you have it, pistachio gelato!!! NOTE: you can make this into almond gelato, by replacing the pistachios with almonds! 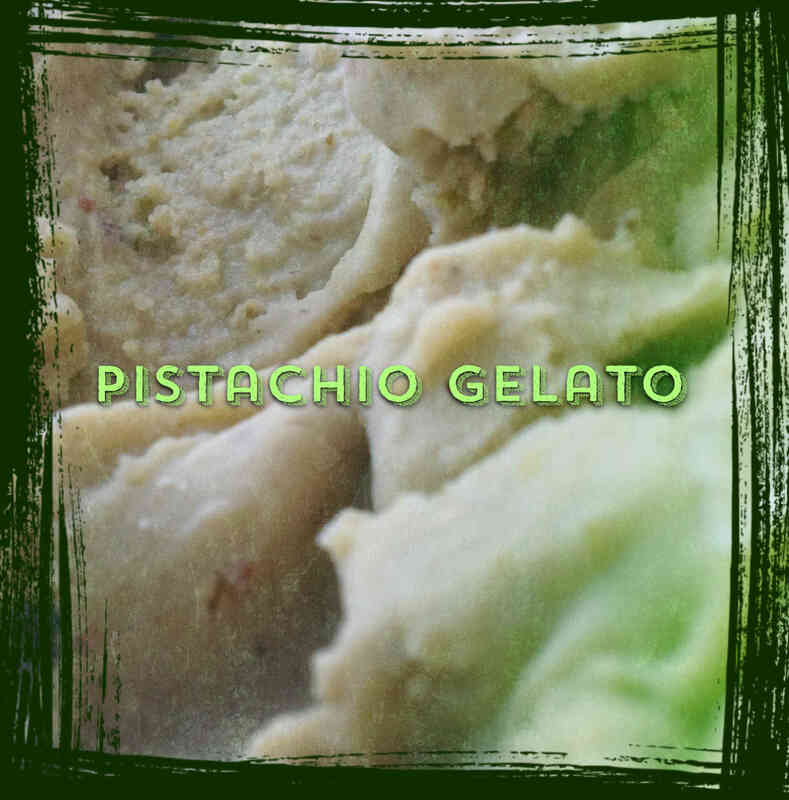 This entry was posted in Dessert, lchf, LCHF recipes and tagged almond gelato, lchf gelato, lchf ice cream, nut ice cream, pistachio gelato, pistachio ice cream by angelb38. Bookmark the permalink.